← Egyptian Style Urn. Haws Watering Can. Pre 1940s Marbles…. 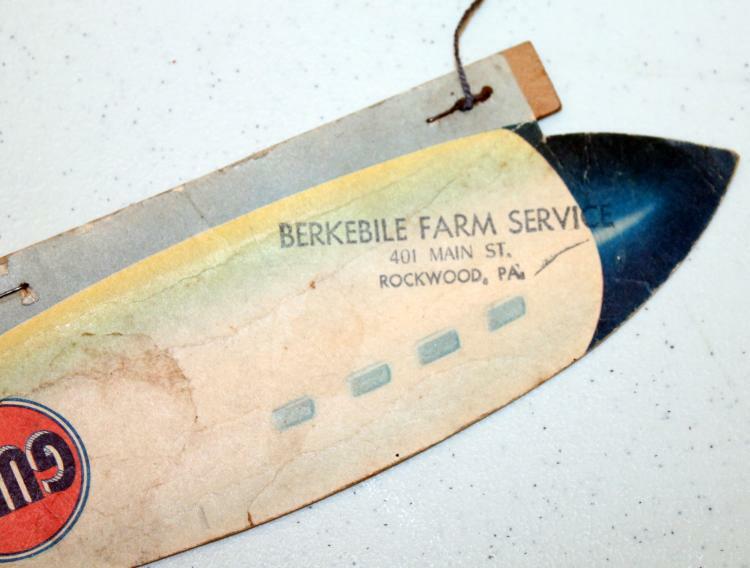 Just got this great, rare advertising toy via an on-line auction… it seems like EXACTLY the kind of thing that those American Pickers people love to find! We’ll have it at Heritage Collectibles in Lewiston by the end of this week, and will keep it at the shop for perhaps another week before sending it to our space at the Cabot Mill Antique Mall in Brunswick. This entry was posted in Advertising & Iconic Pieces and tagged 1950s, advertising, advertising toy, collectible, Gulf Oil, Heritage Collectibles, Lewiston, no-nox gas, zeppelin. Bookmark the permalink.